A rare behind the scenes photo from "The Golem". 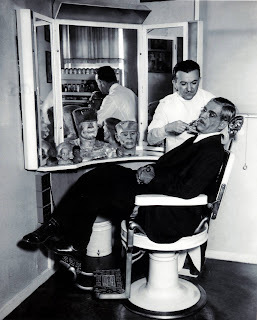 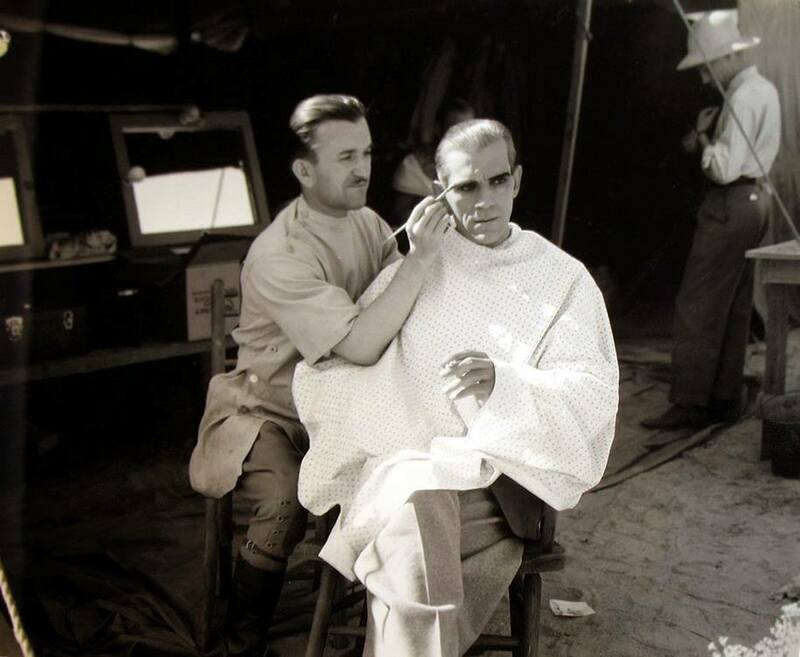 I'm not positive which role Jack Pierce is making Karloff up for in this photo. 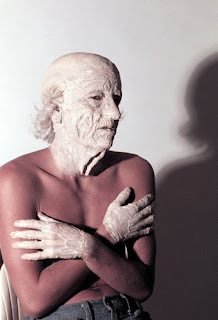 Anyone have any ideas? 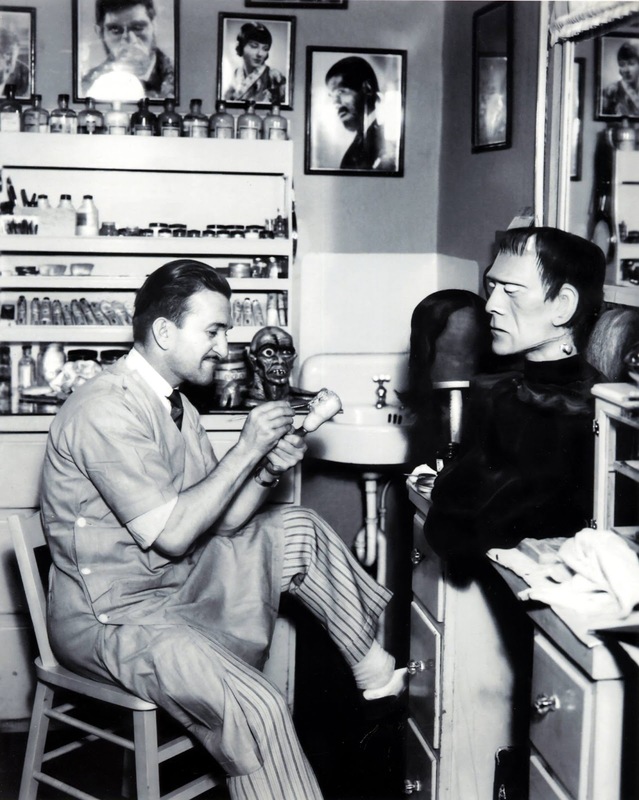 Oh how I would love to wander inside his workshop! 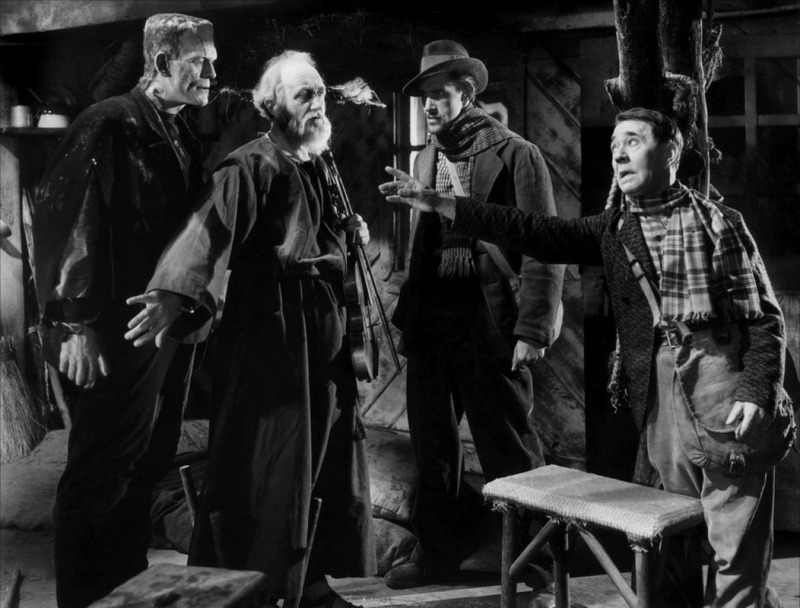 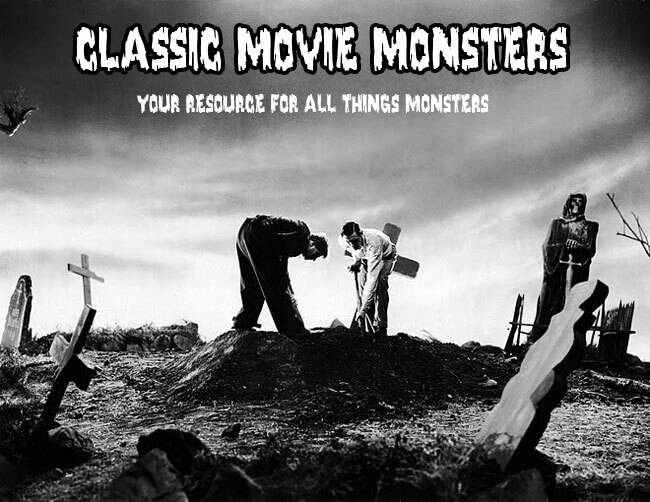 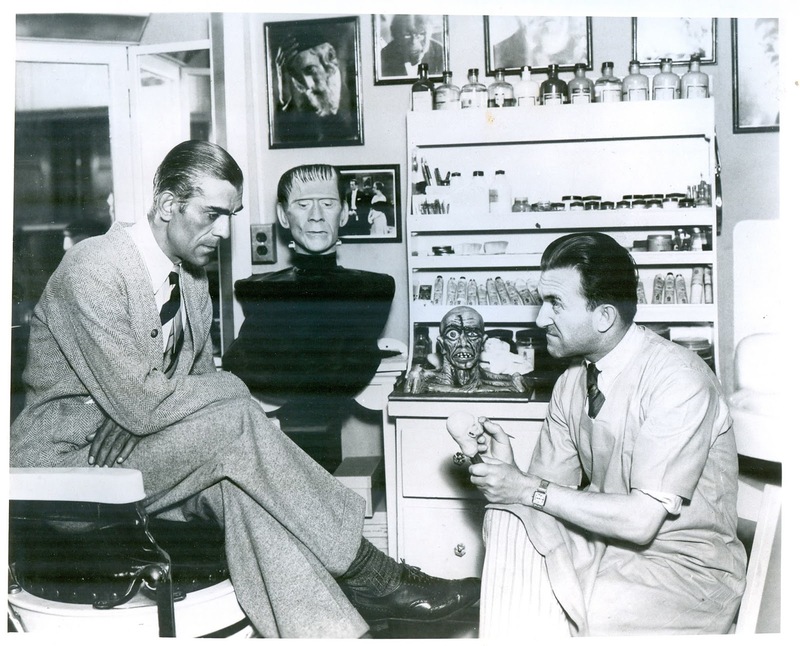 Boris Karloff and Jack Pierce discuss ideas to bring the Frankenstein Monster to life. 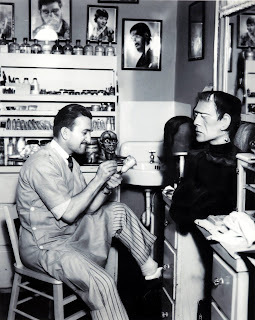 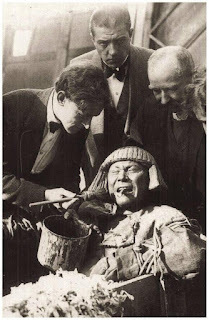 Jack Pierce transforms Boris Karloff into the undead Egyptian of 3,500 years ago in "The Mummy". 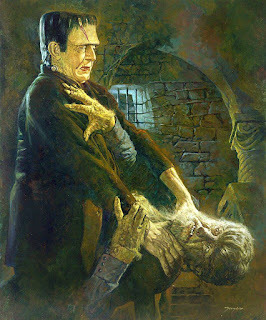 No, not Dr. Frankenstein, but the author of "Frankenstein" herself, Mary Shelly! 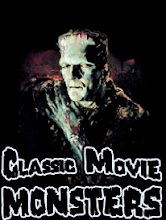 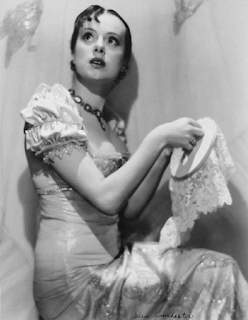 As portrayed by Elsa Lanchester in "Bride of Frankenstein". I love this take of the portrait from The Cemetery episode of Rod Serling's "Night Gallery". 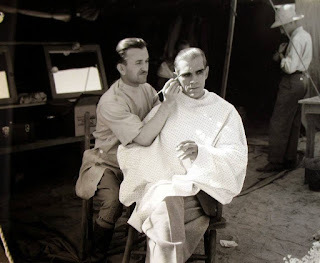 Rod Serling himself takes the place of Roddy McDowall! 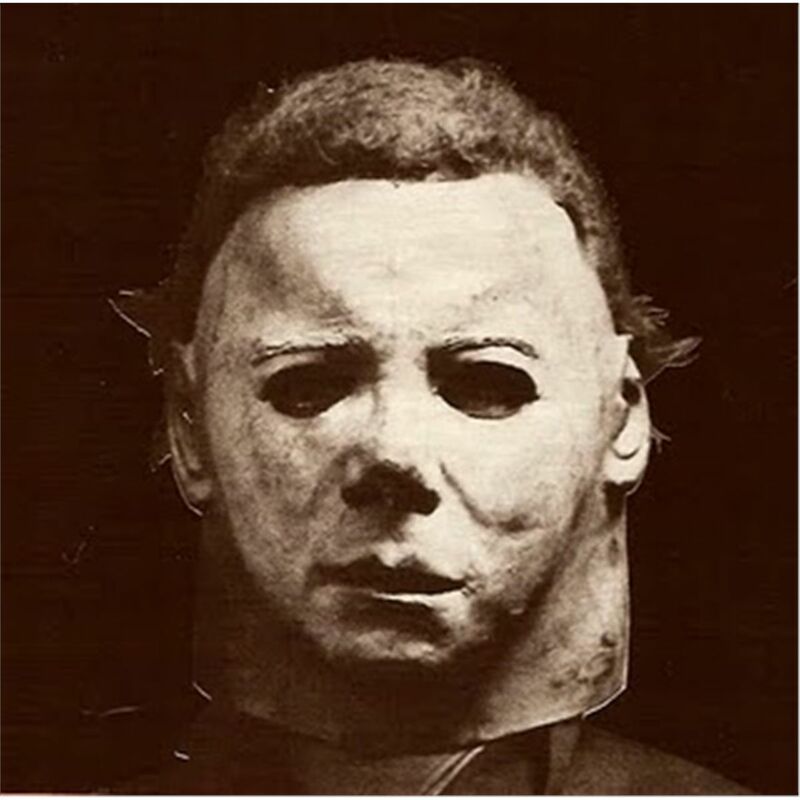 A great behind the scenes shot of Grandpa from "The Texas Chain Saw Massacre". 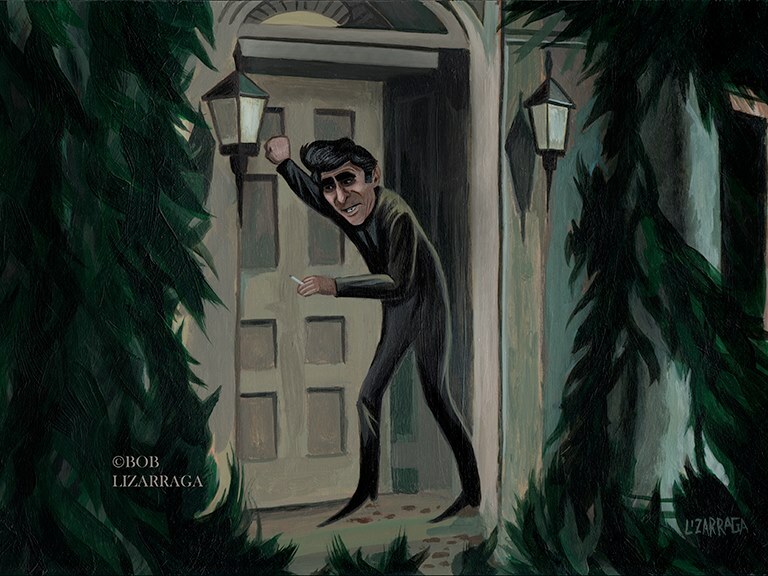 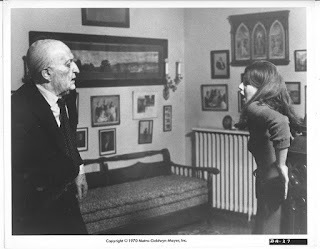 From "House of Dark Shadows". 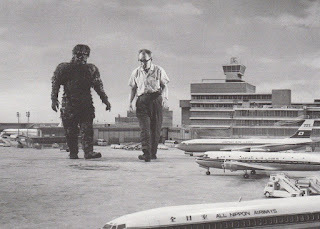 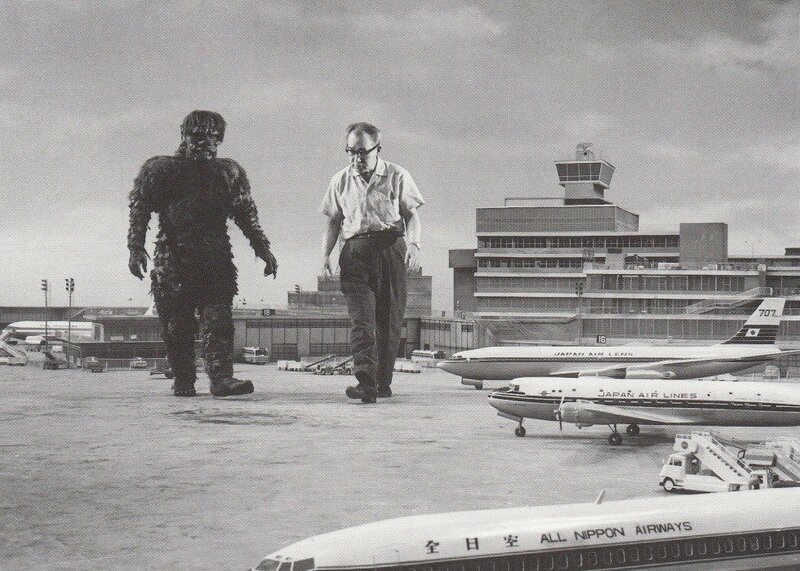 It's Gaira and Eiji Tsuburaya on the set of "War of the Gargantuas"! 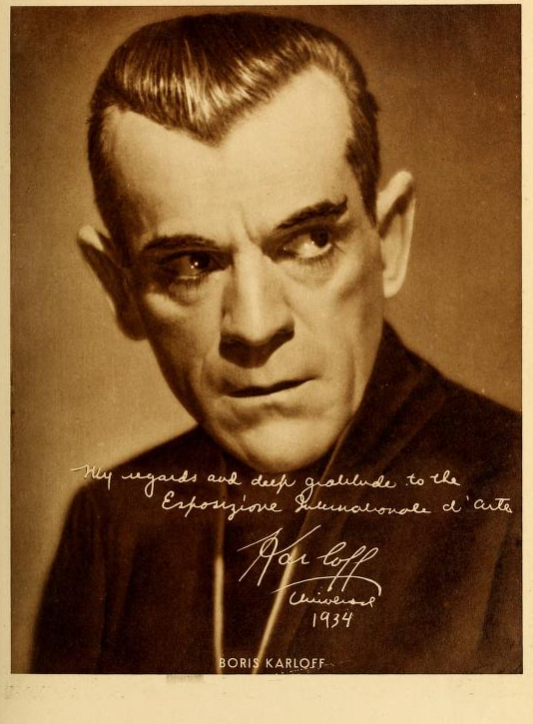 How neat would it be to own a real life Karloff autograph?